"Good sized with nice movement for a Written Tycoon. Looks as if he could be a 2 year old, which can train on to better things as a 3 year old, over the sprint distances." From Simply The Best, this colt couldn’t come from a more aptly named mare. He is a stunning son of one of the top sires in Australia in Written Tycoon and a half-brother to Listed winner Best Yet To Come. This colt has serious Golden Slipper potential, sharing a sire with Capitalist and having multiple sprinting Stakes horses under his first two dams. Simply The Best herself was Stakes placed on the track and has produced two Stakes horses from four winners with her runners winning 14 races combined. "Classy colt and very tough. He is a beautiful mover under saddle and has plenty of character going for him at this stage of his career"
"I'm very proud to train the Star Thoroughbreds' horses. Denise and her team select quality horses at the sales and their race track success is testament to the work they do to find the best possible yearlings at the right price. The 2019 Magic Millions Star collection is another group of very exciting prospects." By Written Tycoon, who is stamping himself as a dominant sire of two year olds, highlighted by his Golden Slipper winning son Capitalist, who now resides on the Newgate Farm roster. Written Tycoon has also sired last year’s Blue Diamond winner, Written By. From Simply The Best, already a Stakes producing mare of Best Yet To Come and Simply Put. Her progeny have already produced a total of 14 individual wins. This colt is from a superb New Zealand family including Stakes winners Major Decision and Everswindell. 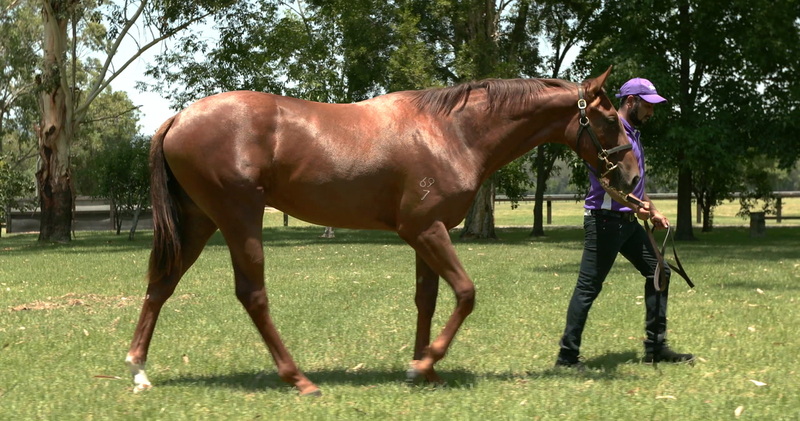 Purchased from Three Bridges Thoroughbreds, based at Eddington, Victoria. This farm is horse heaven, having produced top horses such as current star Ringerdingding, Military Zone, and Sedanzer. We’re proud to present an interactive view of this outstanding colt. Get to know him from every angle by viewing his conformation on rotation, and see his action as he walks side-on to the camera. To be offered for syndication soon. To express interest, please fill in the form below. We will be in touch in the coming days when this colt is offered for sale.